WordPress.com is one of the user-friendly platforms to run a blog. But every platform has some limitations and WordPress.org is far away better than the fully-hosted version. You should know the difference between WordPress.org and WordPress.com. Finally, you have decided to move on the self-hosted version. WordPress is bringing a new revolution in the online market. To move your blog from WordPress.com to WordPress.org, you just need to export and import the content from and to WordPress respectively. There are thousands of plugins and themes which can create a user-friendly atmosphere for your users. Before you move to WordPress.org, you need a domain name. If you have already bought a custom domain name from WordPress.com, we will guide you to redirect to WordPress.org. 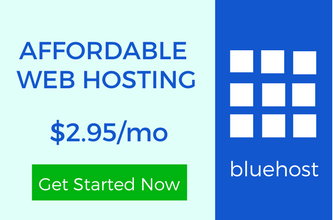 A reliable web hosting is required to place your blog on this internet. There are many options. 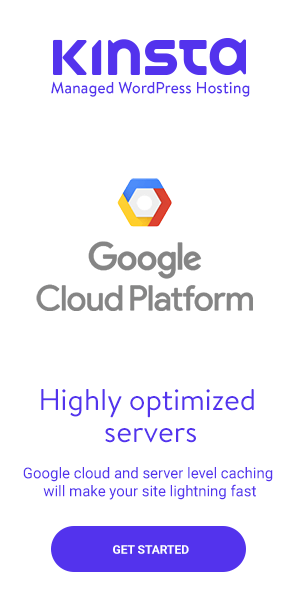 And if you want a managed web hosting, WP Engine is the best. 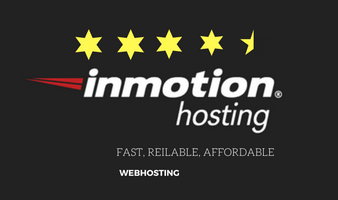 It’s very important to have a good web hosting because everything is dependent on that. Choose it wisely. Let me point out the basic steps. I am going to elaborate each and every step mentioned above. Follow the guide. It’s like backing up the data and downloading it to your computer. Log into your WordPress.com account and open the site dashboard. Navigate to Tools>>Export. You will see two options from which, choose the “Free” option and start exporting. You will get a new screen to choose the options to export the posts, pages, media, feedback, and everything. It’s obvious that you would need to export all the content from comments, tags, categories, menus etc. Click on the “All content” radio button and download the XML file. Now is the time to create an environment for your blog. You have to create a database and install WordPress on the self-hosted WordPress site. Most of the web hostings provide one-click WordPress installation. You can also install WordPress using cPanel. Login to your self-hosted WordPress site and navigate to Tools>>Import. At the bottom, you will see the “WordPress” importer which is an official plugin. Click “Install now” and run the importer. After that, you will be asked to choose the file from your computer. It’s the same XML file you have exported from WordPress.com. Click on the “Upload file and import” button. The file will get uploaded within a few seconds. If the size of the size is bigger than the WordPress default limit then you can split large XML file into small files. After importation, you will be asked to assign all the posts to a specific user. 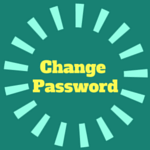 Whether you create a new or assign it to an existing user. Check the checkbox “Download and import file attachments” and submit it. You have successfully imported the whole content. To move your blog from WordPress.com to WordPress.org, these exporting and importing processes are necessary. If you have used the interlinks, follow the next step. If you were using the link features, you have to export it from your WordPress.com blog. It’s stored in an OPML file which is an XML file format. For every fully-hosted blog, it can be opened using a specific URL. Open it in your browser and you will see a file consisting a code. Just use “ctrl+S” to save it on your computer. If you have a custom domain name with WordPress.com, use that domain. Don’t forget to replace “yoursite” with the sub-domain or the domain name of your WordPress.com blog. 5. Import The Blogrolls Into WordPress.org. To accomplish this task, you require a plugin. Install and activate Link Manager plugin. NOTE :- Don’t worry about its last updated time. It’s because the plugin doesn’t need an update. After installation, navigate to Tools>>Import. You will see “Blogrolls” importer. Click “install now” and run the importer. Upload the OMPL file you have saved earlier. Click to “Import OMPL File” button and within a few seconds, it will get uploaded. Now take a step further for redirection. If you have been writing for a long time then you should redirect the Search Engine and your old readers to your new blog. Unfortunately, you can’t access the .htacess file of WordPress.com to make a 301 redirect. But WordPress.com provides a premium service. Login to your WordPress.com site dashboard and open “Store”. It will take you to a new page. You just have to choose the redirect service by adding the URL of your self-hosted blog. You can also select the number of years. It’s recommended to use 1 year. People can easily recognize your new URL within a year. NOTE : If you don’t want to redirect then you should set your blog to private. 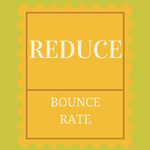 If you move your blog from WordPress.com to WordPress.org with a little bit of data then don’t need to redirect. Just set the WordPress.com to private so that people can only visit your new blog. NOTE : In such situation, you have to buy a new domain for which, it’s important to change DNS server. And you’re done with the redirection and WordPress.com. 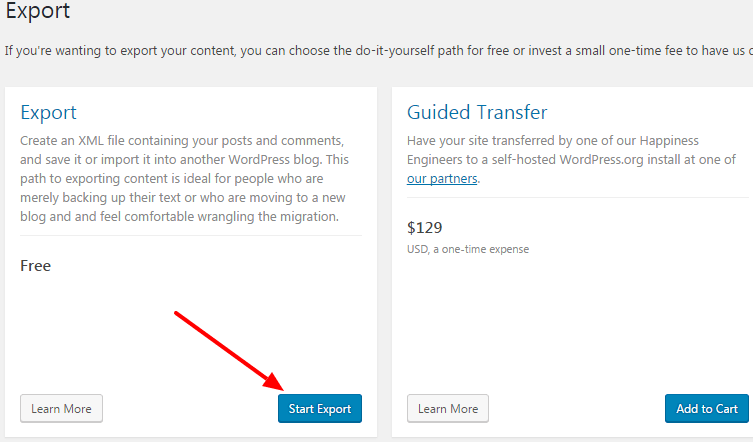 On the official WordPress.com website, it’s recommended that the process of migration will only work if you use the proper permalink structure. Otherwise, your readers will see 404 error. To do the proper settings, go to Settings>>Permalinks. Choose “Day And Name” radio button. It’s because WordPress.com uses the same permalinks structure. You may read about SEO friendly permalink structure but you should know any other permalink structure than this wouldn’t work. To keep the SEO ranking same, it’s important. After that, you need a WordPress theme which can help you to allure your readers. Whether you use the free themes by navigating to Appearance>>Themes or you can buy any premium theme. If you want a custom website, you can contact us. To run a successful WordPress blog, you need some essential plugins. Add your blog sitemap to Google Search Console so that the search engine can come to know about your new blog. It’s always been a debating topic whether you should choose WordPress or any other platforms like Squarespace or Wix. But you know that it’s recommended to use the self- hosted WordPress blog to start your own blog and make money from it. Just follow the steps mentioned above and within a few hours, you will have a brand new site live to your readers. There are a few basic settings you should learn about. When you move your blog from WordPress.com to WordPress.org, you need to set DNS server settings from if you bought a new domain name. If you have migrated your custom WordPress.com domain then no need. Detailed and informative guide indeed! People are going to love the in-depth information you’ve given about how to move our blogs from WP.com to WP.org. I started mine on the free Blogger platform, and switched straight away to wordpress.org. But that was a learning experience for sure, as I did it all on my own, and lost a few wonderful comments on the way, but otherwise it was smooth, and there has been no looking back. Everyone on a .com wordpress site, should switch over, but only once they are sure they want to pursue blogging or take it up professionally as a career, isn’t it? Then it is worth the investment. I have noticed many people are striving to find the right guide for their blog. Just a few days ago, someone asked me about moving a blog from Blogger to WordPress and then the idea of all the migrations took place. For professional blogging, WordPress.org is one of the best platforms and people should surely try it. i have just startedd moving my WordPress to self hosting ( siteground).i am following each steps. but when i gave submit to import , some of the files failed to. It shows invalid.Should i download Link manager separately and install or is it inbuilt in self hosted wordpress plugin.Thank you. Hope you can help. There may be many reasons to getting import errors. Maybe the size of the file is bigger or the database tables are creating the problem. WordPress Importer isn’t 100% effective. Sometimes, it lacks a few posts. make sure that your WordPress themes and plugins are updated. Even the PHP script can be responsible. Ask your web hosting customer support if there is anything blocking the import process. Feel free to reach me through any of the social media platforms mentioned in the sidebar.